Professional business email hosting with easy access to suit every budget. Access your emails and collaborate anywhere while using the desktop, mobile or web. Complete Cloud offers you Hosted email solutions with free set up, spam and malware protection and localized support. To top it we do not have any minimum contract period so you are free to move on if not satisfied! At Complete Cloud, we offer you free set up of your hosted email accounts. All you need to do is choose the plan you wish to take up and we will take care of the rest. Our easy to manage and intuitive control panel can be used by anyone without requiring technical expertise. You no longer need to use Gmail, yahoo or Hotmail for your professional emails. Get a personalised email with @yourdomainname for your business that can present a professional image to your customers. We offer you easy management of all your contacts, calendars and tasks. Stop worrying about losing your contacts if you lose your mobile. With all your important business data stored on the cloud, you have the flexibility to access & manage data and organize your day from anywhere using your preferred device. Accessibility while on the move using any device! With hosted email you can now avail the benefits of the cloud and easily access your email at any place using your tablet, mobile or desktop. Set auto responders so that never miss out anything important. Our hosted email platform allows you to set reminders and automatic responders to help you stay on top of any vital business events hassle free. 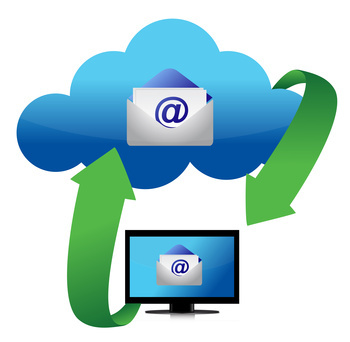 At Complete Cloud we provide you with catchall email addresses. With a catchall email address the chances of losing emails due to spelling errors is minimised. Email aliasing is a crucial feature required by most online businesses. It is a way of giving hundreds of different names to your single mailbox. Get unlimited email aliases when you opt for any of our hosted email packages. At Complete Cloud, all your emails go through SPAM and virus checks reducing the chances of infected emails reaching the inbox. Complete Cloud provides customers with unmatched round the clock support. Our friendly, technical experts are available 24*7 over phone, email and chat to resolve any issues with your hosted email accounts. Last but not the least; we do not have any kind of lock in contract period. Go for our pay as you go services and in case you are not happy with our hosted email services, you can choose to leave anytime you want.